Full session up to 45 minutes at a location we agree upon. Can be in home, on location, or at a local studio (at an additional fee). Includes newborn, maternity, children, couples, high school seniors. Full session up to 1 hour (2 for newborns) at a location we agree upon. Can be in home, on location, or at a local studio (at an additional fee). Includes lifestyle family, lifestyle newborn, maternity, children, couples, and high school seniors. 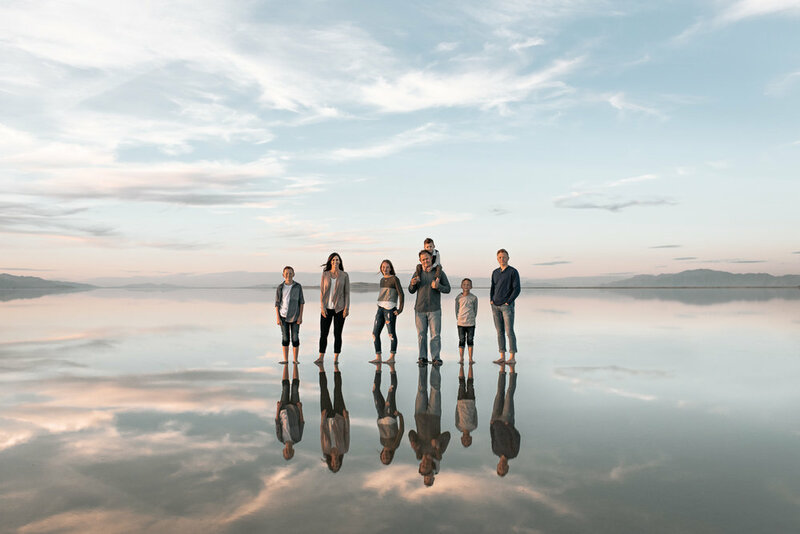 The Bonneville Salt Flats are an amazing location for family photos. It’s easily accessible and relatively close (2.5 hours away).